For prospective buyers who have found the right property, it is always an exciting but also a daunting time when an Offer to Purchase (OTP) has been signed and presented to the seller. The wait then begins before finding out whether or not it has been accepted. In general, there will be a finite period of time for this and we’ve set out a few key points and tips that can help prevent any ambiguity and conflict that can arise. 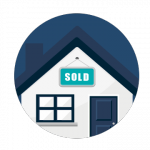 In the majority of sale agreements, a blank section can be filled in by the buyer to indicate how long the seller has to accept the offer. The seller in turn then has a number of days in which he can choose to either accept or reject the offer. This is to ensure that the offer does not stay pending for a prolonged period of time which can be to the proposed buyer’s detriment. If no specific date or period has been noted, it is generally accepted that a ‘reasonable period’ will then need to run before the offer lapses. If the offer is accepted after the stipulated date, the parties can then choose to revive the offer. It is best practice to then include an addendum signed by all parties setting out any bits and pieces that caused the offer to lapse and noting that both parties still accept and agree to the terms of the offer. If any changes are made to the agreement such as special conditions being inserted or changed, it will be considered that the seller has countered the offer and the original offer by the buyer has been rejected. If the changes are not acceptable by the buyer the offer is then deemed to have lapsed. The seller can then not revert to the original one by the buyer thereafter and instead an entirely new agreement will then have to be entered into. If the offer is seen to be out of time (i.e. the seller accepted it after the expiry period) it is held in accordance with South African case law that the expiry date in the offer to purchase was for the benefit of the purchaser and he or she is entitled to waive such benefit. This has the effect that the purchaser could then choose to waive the expiry date and continue with the sale. This scenario does have the potential to cause disputes at a later stage and therefore it is always advisable to adhere to time periods to ensure that a correct and binding offer exists. Failing this, it is often in the best interests of both the buyer and seller not to continue with the ‘irregular offer’ but rather to sign a new one.